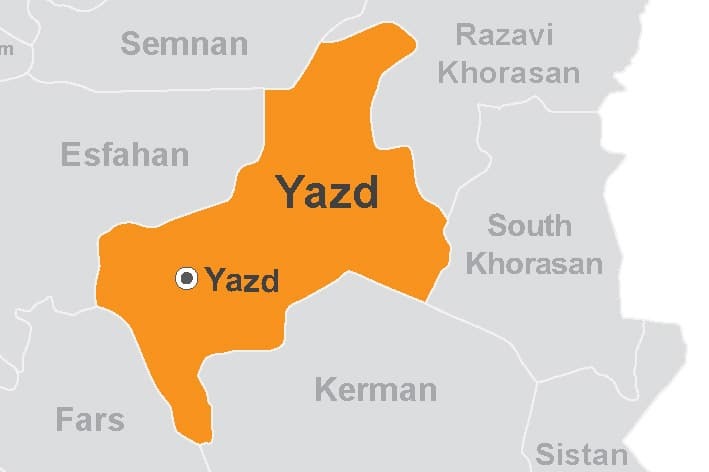 Yazd province with an area of ​​73477 square kilometers is located in the eastern part of Iran and is the eighth province of the country in terms of its size. It is neighboring southern Khorasan, Isfahan, Kerman and Fars province. 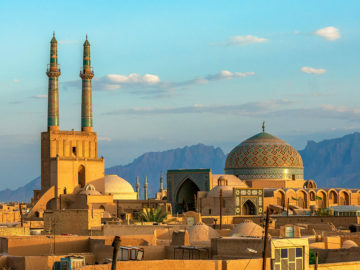 Yazd city is the center of the province, and the province has 10 counties. Most of the people in this province speak Persian with Yazdi dialect. The province has a dry desert climate. The ancient remains in Yazd province indicate its antiquity. The discovered works of the Elamite period in the Narin Qal’eh of Meybod show that Yazd province was on the way to move from Rey to Kerman and from Pars to Khorasan it and has been one of the lands of the Medes. The central regions of Iran fell to the hands of Muslims during the first years of Islam advent and a group of Arab tribes settled in this area. Later, Yazd fell to the hand of Daylamite, and when they were dethroned, Rokneddin Sam, one of the attendants of the Seljuk Emirs, founded the Atabegs dynasty in Yazd. During this period, many monuments and mansions were built which are still considered as the most important historical buildings in Yazd. During the Timurid period, valuable buildings were built that are still among the prominent buildings of Yazd. With the invasion of the Afghan tribes, although Yazd province was not raided in the invasions, Ashraf Afghan was successful in taking the control of the region. Till the end of Qajar period, there were many monuments built in the city that are still standing. Due to the geographical status of Yazd province, various natural attractions including its desert areas are of special interest to both Iranian and foreign tourists. But what makes the province more attractive are architectural styles of its mosaic and mud buildings. Today, Yazd is known as the second largest clay city in the world. The city of Yazd and its historical texture have been registered at the UNESCO World Heritage List. The Province has other registered attractions in the list of World Heritage including Hasan Abad Qanat in Mehriz and Zarch Qanat in the city of Yazd, Dowlat Abad Garden and Pahlavanpur Garden. Zoroastrian Fire Temple, Zoroastrian Towers of Silence, Old Bazaar of Yazd, Historical Complex of Amir Chakhmaq, Yazd Jam-e Mosque, Chak chak Shrine, Zein-o-Din Caravanserai, Narin Qal’eh of Meybod, Hojat Abad E Vazir Historical Complex , Kharanagh Caravanserai and Mosque, Abarkooh Ice House and Jameh Mosque of Fahraj, are considered as other important attractions of this province. Also, the city has special rituals like Nakhl Gardani, Sadeh and Mehregan. Nakhl Gardani is the tradition of moving a huge wooden cradle around the city in memory of the tragic death of the third Shiite Imam and his followers, and the ritual takes place in the Muharam which is the first month of Islamic Calendar. The province is also known for hosting the largest population of Zoroastrians and their different festivals and rituals related including Mehregan and Sadeh. From Yazd’s handicrafts, we can name Termeh (handwoven fabric), Curtain Making, Carpet Weaving, Velvet Making, Zari Douzi (close to Brocade), Daraie Bafi (Ikkat), Khorjin (Saddle Bag), Handkerchief Making, Zilu Making (Woven Mat), Karbas (Canvas), Boqcheh (square fabric for keeping goods), and Patou (Blanket). The souvenirs of the province include traditional sweets like Baklava, Haji Badam, Pashmak (cotton candy), Keik Yazdi, Nabat Yazdi, Ardeh and Halva. The local foods are Shouli Shalgham, Zucchini Stew, Lappeh Kufteh (Split Yellow Beans), Vinegar Aush, Yazdi Aush, Cabbage Aush, Sambosak Aush, Sour Meat Stew (abgoosht), Quince-Plum Stew, and Oat Aush. Vahshi Bafghi (Poet), Mohammad Karim Pirnia (Architecture master and historian), and Mohammad Hossein Paply Yazdi (Geographer) are among the prominent figures of the province.